When you feel anxiety, don’t you wish you had a tool to make it go away? Do you believe your calling in life has to pay the bills? And what’s the easiest way to improve your life without having to earn more money or change your relationship status? Emotional Equations author Chip Conley is here to discuss some logical ways to deal with the most confusing part of your life — emotions. BTW — Did you catch Tripp’s US History mistake? Click here to learn more about Emotional Equations. 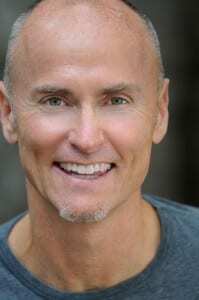 In 1987, Chip Conley started his own hospitality company, Joie de Vivre (JDV), and, as CEO for two-dozen years, grew it into the second largest boutique hotel company in the United States. At the age of 26 with no industry experience, Chip transformed a seedy 1950’s “no-tell motel” into the world-renowned Phoenix Hotel, a legendary rock ‘n roll destination catering to the likes of David Bowie, Linda Ronstadt and Nirvana. JDV expanded into a collection of over 35 award-winning hotels, restaurants and spas, with more than 3,000 employees – each property with its own unique theme that inspires guests to experience an “identity refreshment” during their stay. Chip and his company’s time-tested techniques and transformational leadership practices have been featured in The New York Times, TIME, USA Today, Fortune and The Wall Street Journal. As the preeminent thought leader at the intersection of psychology and business, and a successful practitioner of emotional intelligence at work, Chip shared his unique prescription for success in PEAK: How Great Companies Get Their Mojo from Maslow. Based on noted psychologist Abraham Maslow’s iconic Hierarchy of Needs theory, PEAK illustrates how business’s three key stakeholders – employees, customers and investors – are ultimately motivated by peak experiences that address their higher, unspoken needs. In his latest book, The New York Times bestseller, Emotional Equations: Simple Truths for Creating Happiness + Success, Chip takes readers from emotional intelligence to emotional fluency – using math as a way to better understand and manage our emotions. Chip’s earlier works include The Rebel Rules: Daring to be Yourself in Business, and Marketing That Matters: 10 Practices to Profit Your Business and Change the World. After 24 years as JDV’s Chief Executive Officer, Chip is now a Strategic Advisor to the company he founded, and a successful author and international speaker for organizations from TED to PIXAR to GOOGLE. He has been honored with the highest accolade in the American hospitality industry, the coveted ISHC Pioneer award, and the San Francisco Business Times named him the Most Innovative CEO – and JDV the “2nd Best Place to Work” – in the entire Bay Area. A committed philanthropist, he served on the board of Glide Memorial Church for nearly a decade and currently serves on the Burning Man Project and Esalen Institute boards. He created the San Francisco Hotel Hero Awards and founded the city’s Annual Celebrity Pool Toss event, which has raised millions for inner-city youth programs that now thrive in the troubled neighborhood where he launched his first hotel. Chip received his BA and MBA from Stanford University, and was awarded an Honorary Doctorate in Psychology from Saybrook University, where he is the 2012 Scholar-Practitioner in residence.